It’s Great News for the SEO Expert and PPC Expert. Now Google’s New Search ads are now in beta in google Adwords. In new search ad google adwords let Digital marketing expert can create an ad that show more text- and message that is more relevant to your customers. But now Responsive search ads are in beta and may not be available to all AdWords advertisers. 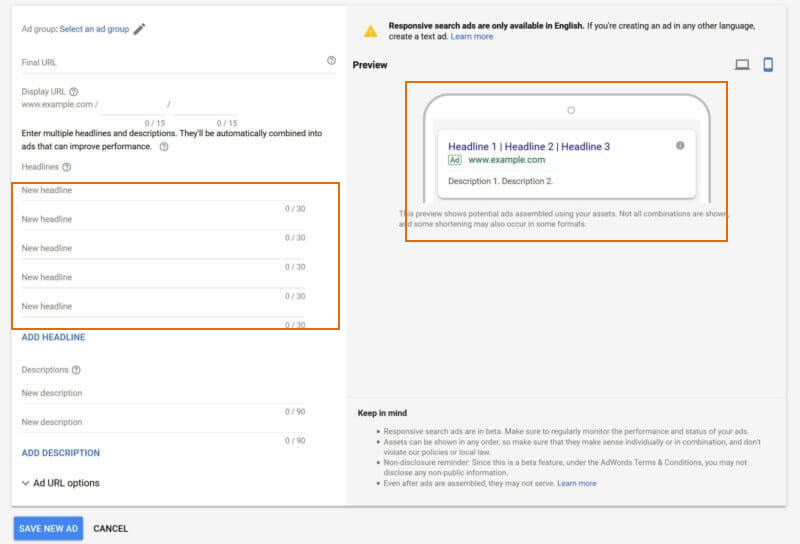 In the new search ads(beta) when you are creating responsive search ad, you can enter multiple headlines & description and Adword will helps you by test different combination automatically & learn which combination perform best. 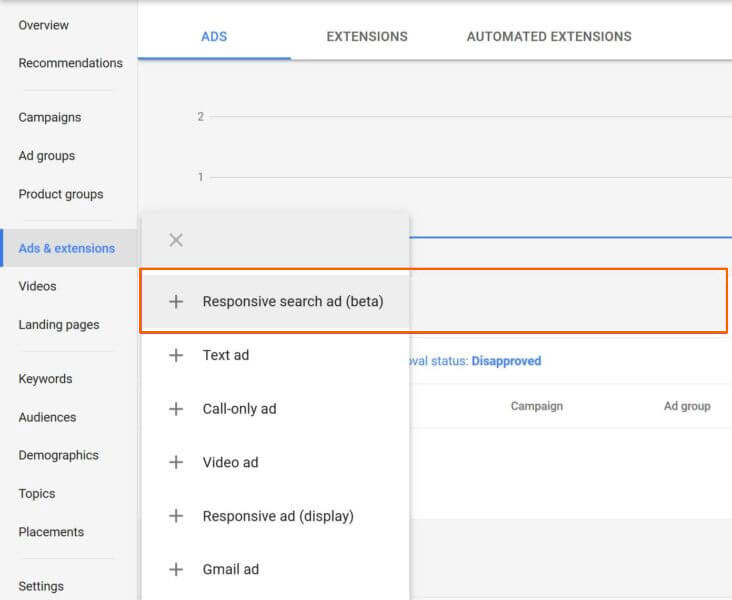 By adapting your ad’s content to more closely match potential customers’ search terms, responsive search ads may improve your campaign’s performance. Responsive search ads will learn and improve over time, so make sure to regularly monitor the performance and status of your ads. Responsive search ads are currently available in English, French, German, and Spanish, with other languages on the way. Google’s giving responsive search ads more character real estate than expanded text ads. Showing three headlines instead of two. Up to two 90-character descriptions instead of one 80-character description. With the many headlines and description you enter more opportunities google Adwords match closely with your potential customers’ search queries, which can improve your ad performance. After you enter headlines and descriptions, AdWords assembles the text into multiple ad combinations in a way that avoids redundancy. Over time, AdWords will test the most promising ad combinations, and learn which combinations are the most relevant for different queries. During the beta, responsive search ads can only be added to ad groups with existing text ads. Some ads may not show. Your ad may show up to 3 headlines and 2 descriptions. Headlines and descriptions can be shown in any order, so make sure that they make sense individually and in combination. Your headlines and descriptions shouldn’t violate AdWords policies or your local laws.